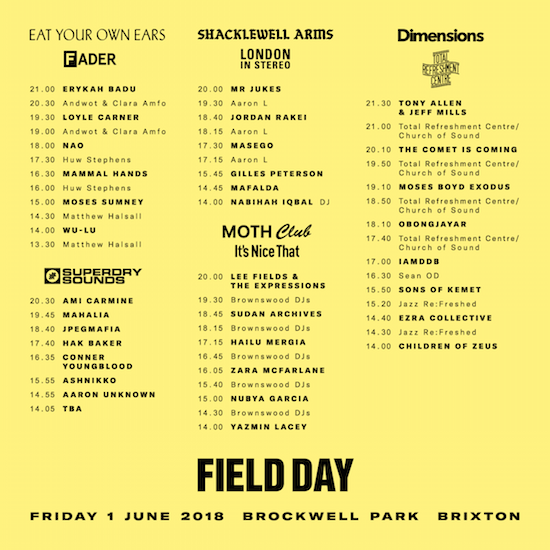 Field Day has revealed the final details for this year's edition of the London festival ahead of next weekend. 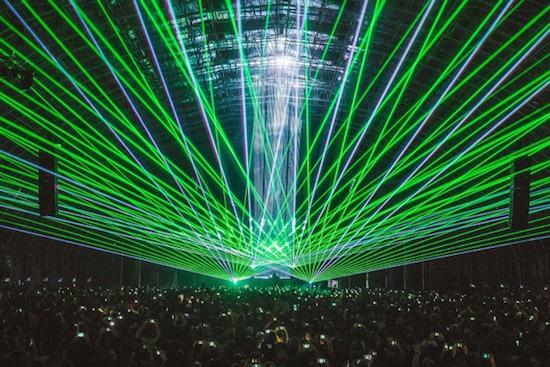 Relocating to Brockwell Park for 2018, the festival will host headline sets from the likes of Erykah Badu, Four Tet, Fever Ray, Helena Hauff, Daniel Avery and more. We here at tQ will once again return to host a stage at the festival, which will see the likes of Thundercat, Charlotte Gainsbourg and AJ Tracey all playing live. 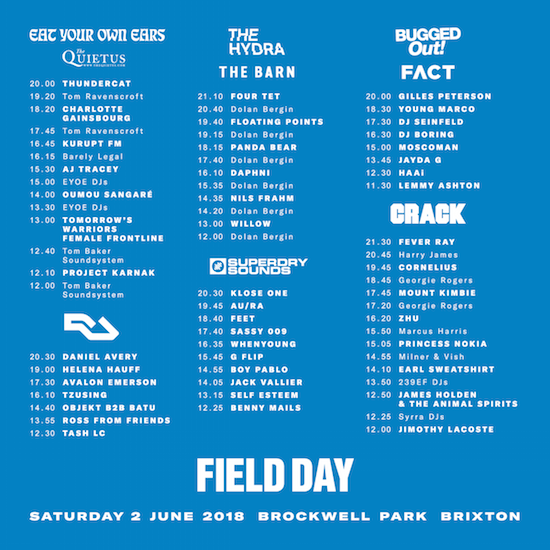 You can find the full set of stage times for both days via the images below. Field Day takes place from June 1-2. For more information and to get tickets, head here.